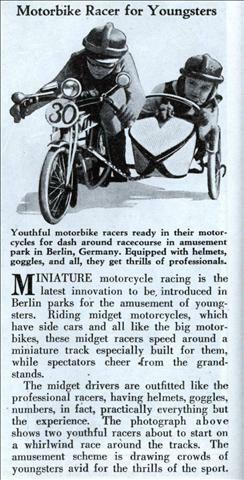 MINIATURE motorcycle racing is the latest innovation to be, introduced in Berlin parks for the amusement of youngsters. Riding midget motorcycles, which have side cars and all like the big motorbikes, these midget racers speed around a miniature track especially built for them, while spectators cheer from the grandstands. The midget drivers are outfitted like the professional racers, having helmets, goggles, numbers, in fact, practically everything but the experience. 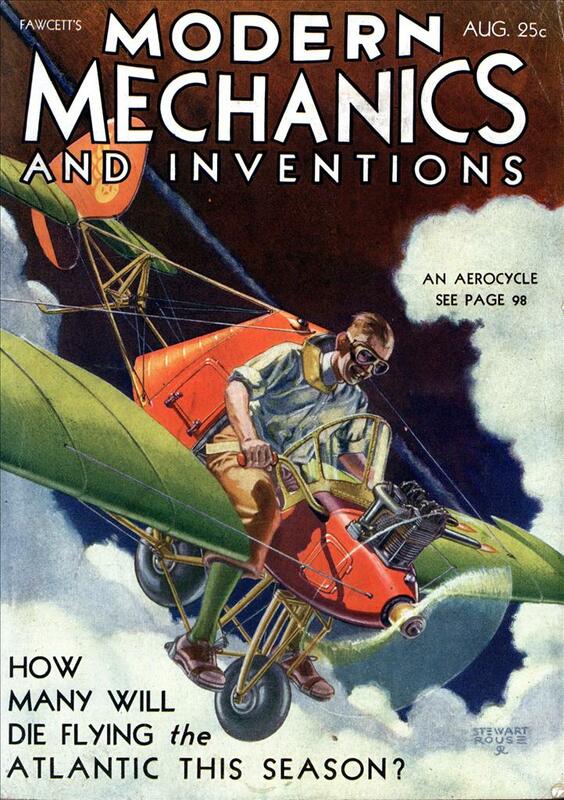 The photograph above shows two youthful racers about to start on a whirlwind race around the tracks. The amusement scheme is drawing crowds of youngsters avid for the thrills of the sport. Things like this make me wonder how any of these people ever grew up to be our parents and grandparents. Then things like banning the ‘dangerous’ sport of dodgeball make me wonder what’s going to be left for our children and grandchildren to enjoy.